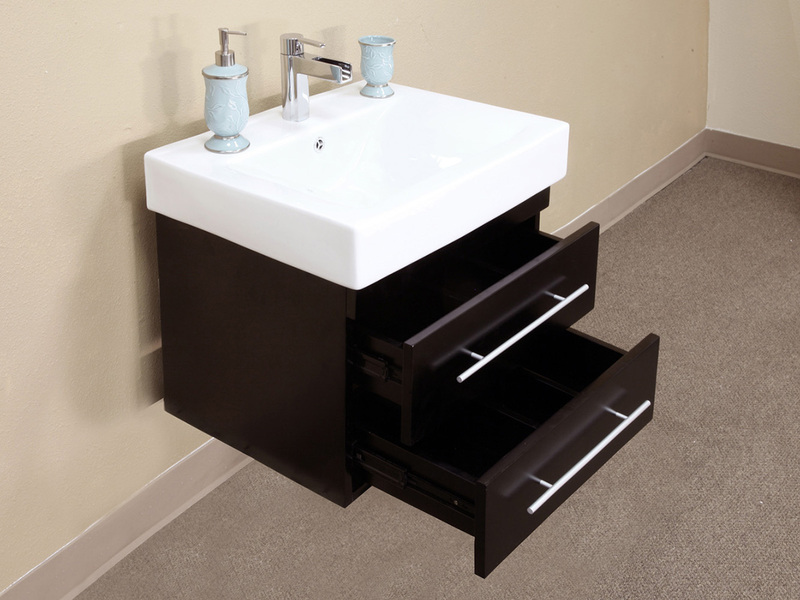 The Athos Single Vanity has a great modern design with its clean lines, simple shape, black finish and nickle hardware. 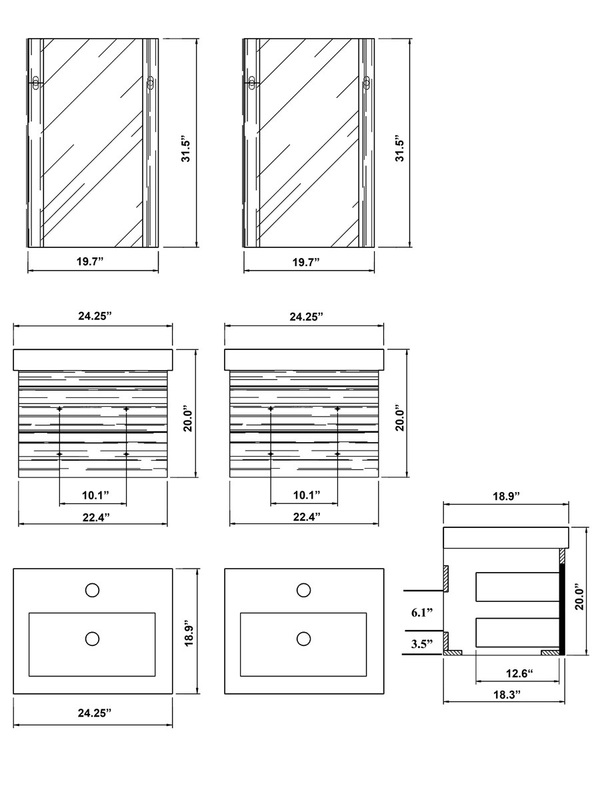 The cabinet is made of slid birch wood, which when combined with its water proof black finish will maintain its shape against exposure to humidity. 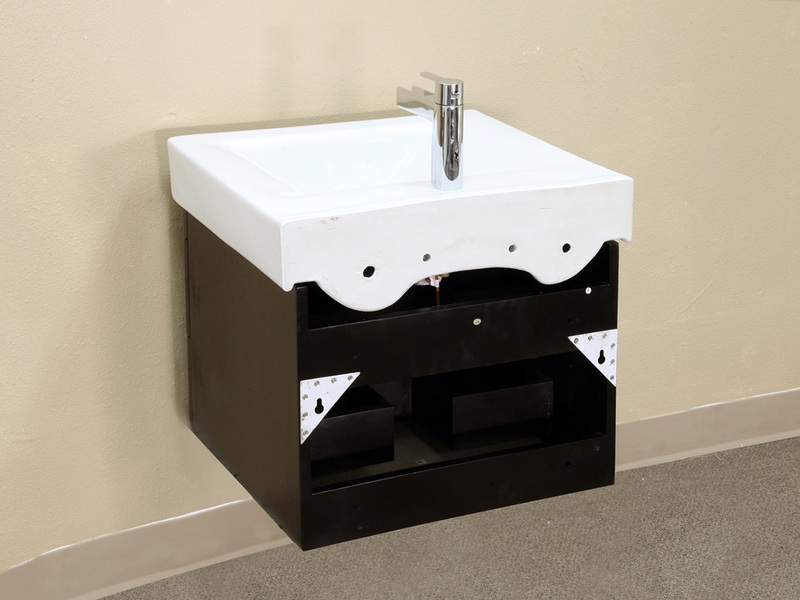 The two functional drawers open and close easily on their ball bearing glides. 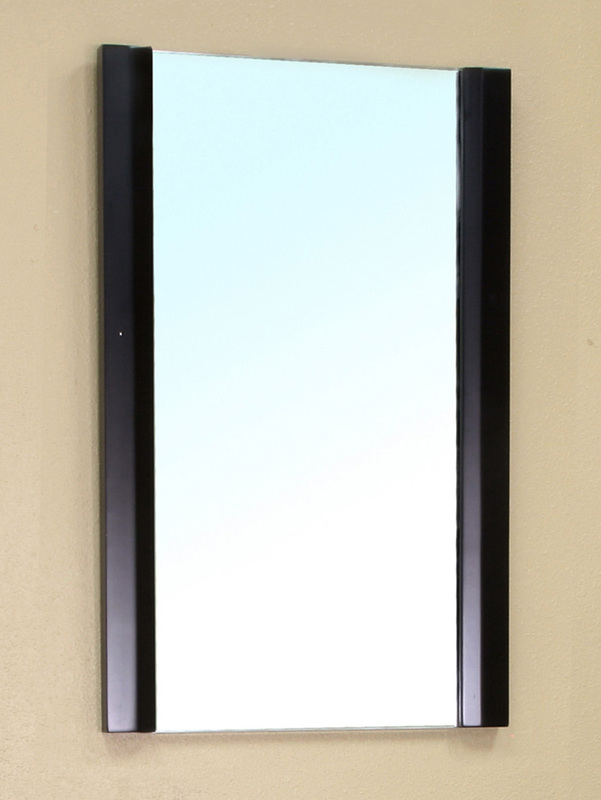 They are also great for storing bathroom accessories for easy access. 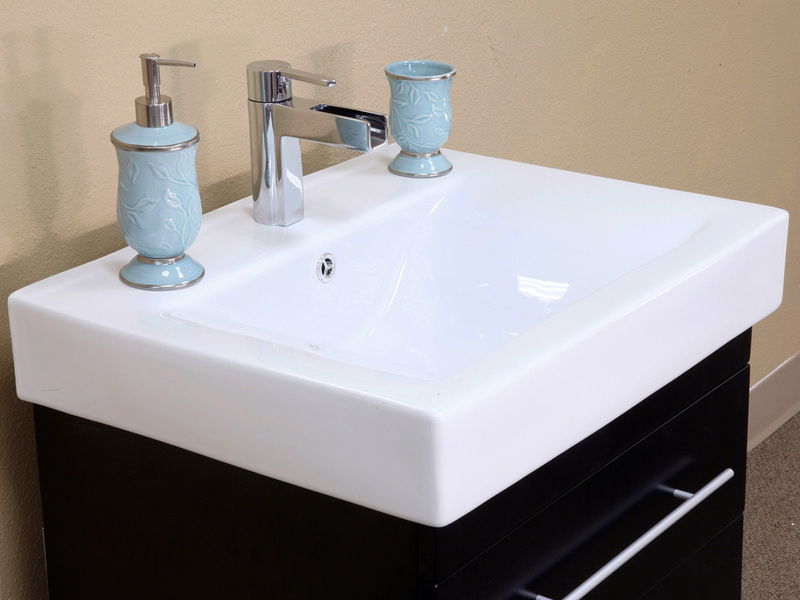 This vanity includes a beautiful ceramic sink, with a modern rectangular shape (faucet sold separately). 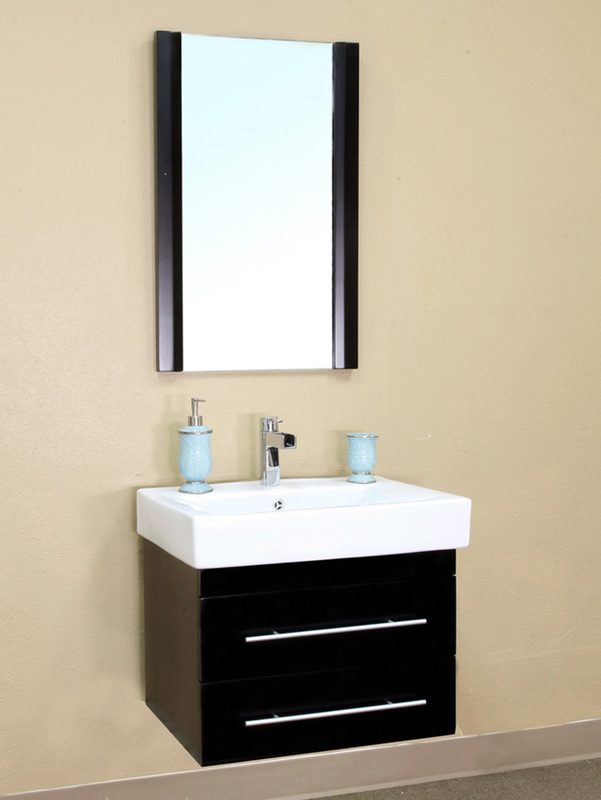 A matching mirror is also available with this vanity to help complete your bathroom's decor.